A corruption of Genesis written in an old sketchbook, which happened to later be accompanied by this archaic wolf on the same page. Together, they have make for a mystically powerful pairing. The wolf was drawn by Jonathan’s brother-in-law, Ebeneezer, who was 10 years old at the time. A portion of sales will go towards Ebeneezer’s future college/education funds. Comes in Black and Grey Triblend, using high quality, super-soft Bella Canvas made tank tops. 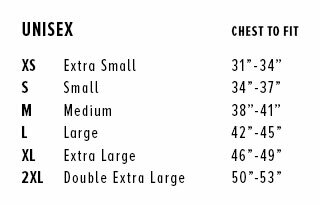 (Size Chart here.) We only use Bella Canvas specifically because of their eco-friendly practices, ethical production, and outstanding quality. Screen-printed locally right here in Santa Fe, NM by Bee’s Knees Prints. If you are attending Further Confusion and want to pick up your order there, use code FCPICKUP to waive shipping costs.